Here is the current drought/moisture situation across the United States. Note the generous moisture over the Northwest and adequate moisture in Northern California. The drought still continues in Southern California. Extreme drought continues in the Southeast. More rain is on the way for that region. 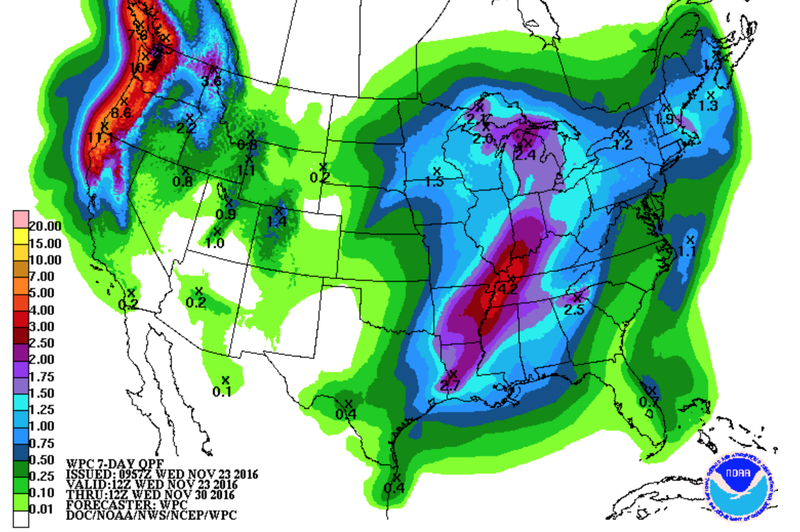 Here is the 7-day rainfall forecast. 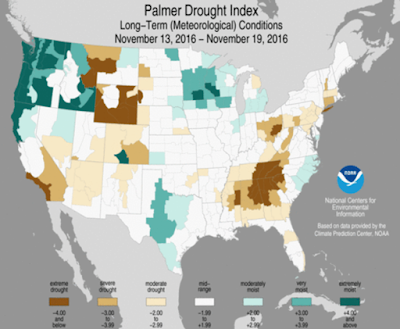 The northwest portion of the severe drought area will see some relief. 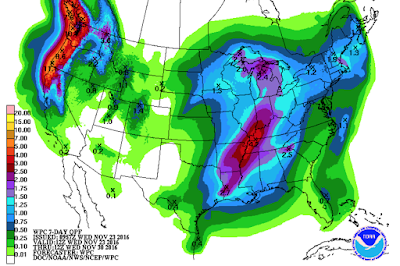 The "too much of a good thing" rainfall may become a reality in Washington and Oregon. From about 7 to 10 days into the future, central California may see some significant rain while eastern part of the drought region in the Southeast may also see some relief.